ZSpheres are an advanced ZBrush tool that permit ‘sketching out’ a 3D model (particularly an organic one) quickly and easily. 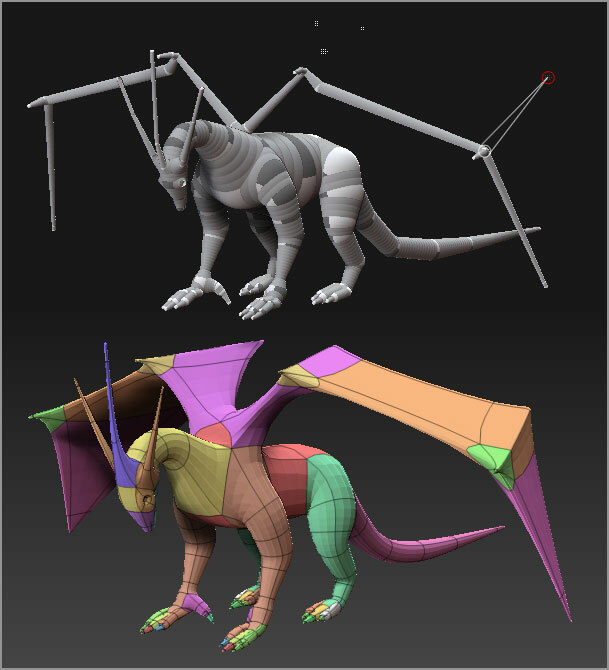 Once the model has been formed using ZSpheres, it can be ‘skinned’ (a mesh can be created from it) for further sculpting. There’s nothing like ZSpheres in other 3D programs, and the only way to learn their ins and outs is through experience. We’ll briefly touch on a few topics, and then leave you with some tutorials to study.